The House, Senate and the governor’s office are said to be close to an agreement on the FY 2016 state budget, the chairman of the House Appropriations Committee said Monday. State Rep. Earl Sears, R-Bartlesville, said he hoped to have an agreement by Friday. Still, even with an agreement, it could be well into next week before legislation is written — and days after that before bills began moving through committees. Under the Oklahoma Constitution, the Legislature must adjourn by 5 p.m. Friday, May 29. Although negotiators have said little publicly about what next year’s budget will look like, some details have emerged. Last month Sears and Senate Appropriations Chairman Clark Jolley, R-Edmond, said they would fully fund the state’s child welfare reform effort known as the Pinnacle Plan. That cost is expected to be about $18 million for next year. In addition, lawmakers are expected to take between $100 and $140 million from the state’s “rainy day fund,” more than $100 million from agency revolving funds, and at least $30 million from the unclaimed property fund to help backfill the $611.3 million budget shortfall. The remainder of the shortfall would be covered by cuts in agency spending. Sears said some agency could see budget cuts in the 7 percent range. “We’re trying to do everything we can to cause as little pain as possible but it’s a difficult budget year,” he said. 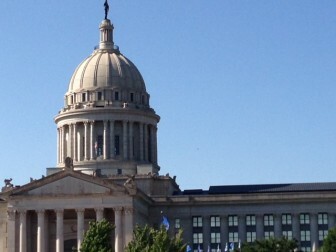 Oklahoma lawmakers are developing a budget that uses the state’s ‘rainy day’ fund, cash reserves, the Unclaimed Property Fund and county apportionment funds to help bridge a $611.3 million gap, the chairman of the House Appropriations Committee said Tuesday.